The Theatre and Performance Program received several national awards from the John F. Kennedy Center for the Performing Arts for “She Kills Monsters”. “She Kills Monsters” written by Qui Nguyen and directed by Nicholas Newell, opened originally on Nov. 9, 2016, at the Black Box Theatre. The play was also one of five invited to perform at the KCACTF Regional Festival 2017, Region IV hosted by Georgia Southern Feb. 7-11. Georgia Southern received one outstanding award for Ensemble of a Play, which recognizes the top cast, and eight distinguished awards for Production of a Play, Director of Play (Nicholas Newell), Choreography (Jake Guinn), Costume Design (Sarah McCarroll), Lighting Design (Spencer Collins), Performance by an Actress in a Play (Kelsey Alexandria and Sadie Thomas), and Performance by an Actor in a Play (Will Cox). 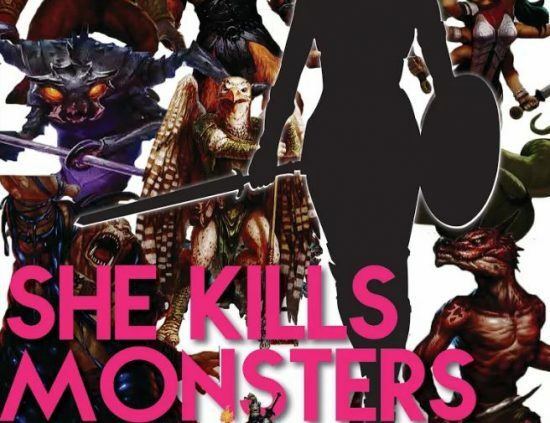 “She Kills Monsters” tells the story of Agnes, a young woman who is dealing with the loss of her 15-year old sister, and explores her sister’s fantasy world to discover more about her.